Actually, about 50% of the people in the world rely on groundwater. So this is why we have to conserve and protect this precious resource. That’s where hydrogeologists come in. Hydrogeologists focus on how groundwater is transported and distributed in the soil, rock and crust of the Earth. 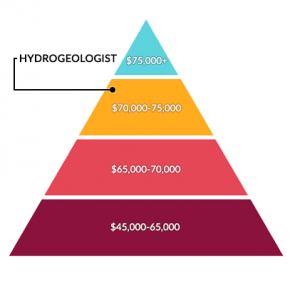 Hydrogeologists earn an average salary of about $80,000. Job growth is faster than average in this field with a positive outlook. They tend to work in an office or outdoor setting. For example, hydrogeologists may work in the field assessing water quality, contamination, well or borehole sites. They may also work in the office preparing reports and analyzing groundwater models. Common degrees for hydrogeologists are in geology, civil engineering and hydrogeology. 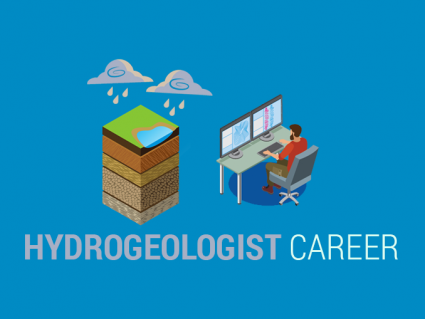 3 Where do hydrogeologists often work? Various industries need hydrogeologists to assess groundwater for different purposes. The vast majority of hydrogeologists work in environmental consulting doing remediation. For example, these hydrogeologists may focus on groundwater protection and management for mining operations. Some hydrogeologists work in pure hydrogeology which involves more of the water supply side and sustainability issues. Water supply is another issue that hydrogeologists are concerned with. This is because groundwater is a very important source of drinking and irrigation water across the globe. So instead of focusing on contamination or remediation, water supply hydrogeologists analyze long-term monitoring, availability and quality. As groundwater has to be carefully managed to guard against overuse, there will always be a need for hydrogeologists. Environmental consultancy mainly looks into contaminated groundwater (or land), assessing risk and remediation. 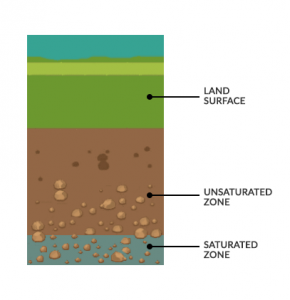 Contaminated land is a big issue. This is because only in the recent past have petrochemicals, chemicals, construction industries had to ensure they weren’t polluting groundwater. This is why the most demand for hydrogeologists is in the environment. Industries such as mining, oil and gas require they are following the law put forward. This is where groundwater model development, assessment and reporting for water management plays a key role. Entry-level hydrogeologist jobs tend to involve more field work. For example, entry-level hydrogeologists often install monitoring wells, perform groundwater sampling and borehole logging. 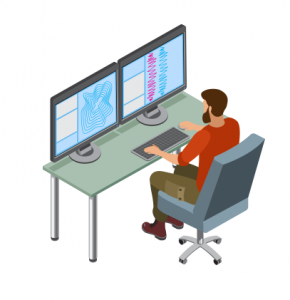 In addition, this comes with a fair share of data entry and reporting. In regards to the actual chemical and geotechnical testing of soils and water, this is almost entirely done by specialist in an environmental lab. Senior hydrogeologists often oversee environmental investigations and remediation. Instead of collecting the physical groundwater samples, they perform and oversee the detailed hydrogeologic, hydrologic and hydraulic studies. This comes with a fair amount of hydrogeology modeling and analyzing groundwater flow. Senior hydrogeologists are also often more involved in flood protection designs and developing construction documents for engineering drawings and technical specifications.